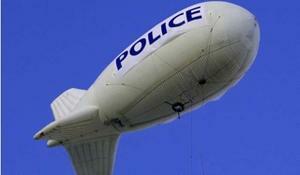 OGDEN — The police department’s plan to launch a crime-fighting blimp has crashed. The blimp has been scuttled and was deflated by a number of factors, said Mayor-elect Mike Caldwell. When first announced nearly a year ago, officials were optimistic the 54-foot-long, 4-foot-diameter helium-filled dirigible would be patrolling the skies over Ogden by the end of 2011. 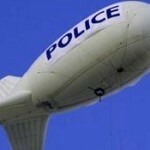 Former Ogden Police Chief Jon Greiner, who was a major proponent of the blimp, said in an email to the Standard-Examiner the Federal Aviation Administration issued the police department a certificate of authorization for the blimp a few weeks ago. Greiner told the Standard-Examiner in August that Weber State University’s Utah Center for Aeronautical Innovation and Design used federal grants to purchase the blimp from a Salt Lake City-based company, Hyperblimp. While outgoing Mayor Matthew Godfrey was a supporter of the blimp, Caldwell did not seem enthusiastic about the project, said Ron Carter, a lead engineer with UCAID. Godfrey declined to comment on the failure of the blimp project. The project was also likely doomed because it would take three years to get Federal Aviation Administration approval for the blimp because it would be the only one of its kind to fly at night, Carter said. The blimp was to be equipped with cameras, a battery-powered propeller, radar transponder and other devices and would weigh 20 to 30 pounds. The blimp would stay up for five to seven hours at a time at a top speed of 40 mph, running a preprogrammed route or working on such things as following a single individual or vehicle, all from an altitude of 400 feet. Greiner had estimated the cost to the city to be eventually well under the $40,000 cost of a patrol car fitted with all of the police extras, and possibly as low as $15,000. The city and UCAID were unable to strike a deal to fund the blimp, Carter said. Godfrey said the decision to drop the blimp project should not impact the police department’s high-tech Real Time Crime Center that began operating earlier in 2011.